Betty Ermey, daughter of Gunny R. Lee Ermey, served as grand marshall for the 2019 Almond Blossom Festival Parade. The 70th Annual Quartz Hill Almond Blossom Festival was March 8, 9 and 10 at George Lane Park in Quartz Hill. This year’s festival also featured a car show, with proceeds benefiting Vets4Veterans in the Antelope Valley. 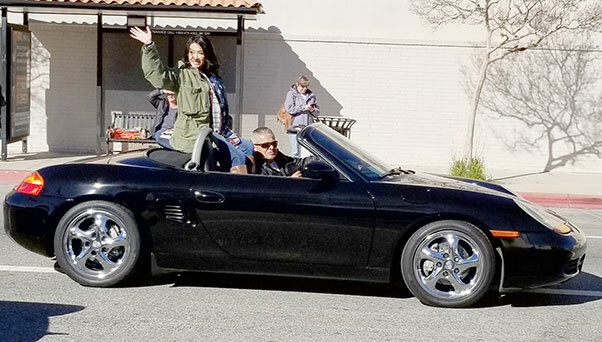 March 9 saw the return of the Almond Blossom Festival Parade after a hiatus. Grand Marshall for the parade was Betty Ermey ­— daughter of Marine Gunnery Sgt. R. Lee Ermey. During the Vietnam War era, Ermey served as a drill instructor at the Marine Corps Recruit Depot, achieving the rank the rank of staff sergeant. 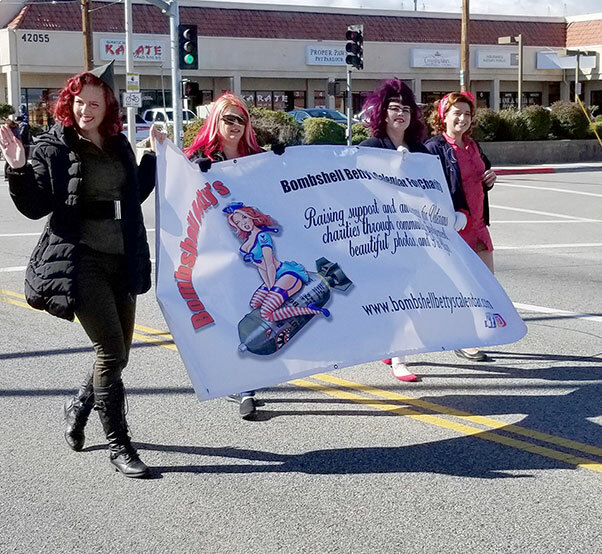 The Bombshell Betty’s were on hand for the festival, selling their pin-up calendar with proceeds supporting veterans’ charities. They also marched in the parade. After an honorable discharge for medical reasons, Ermey was attending the University of Manila on the G.I. Bill when he was cast in a small but memorable role in “Apocalypse Now,” directed by Francis Ford Coppola. Soon after, he appeared as a D.I. 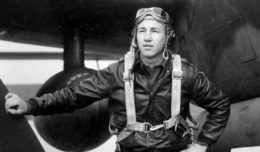 in Sidney Furie’s “The Boys in Company C.” The role was a premonition of the presence he would bring to “Full Metal Jacket” in the Hartman role. Also on hand were the Bombshell Betty’s selling their pin-up calendar, with proceeds supporting veterans’ charities. 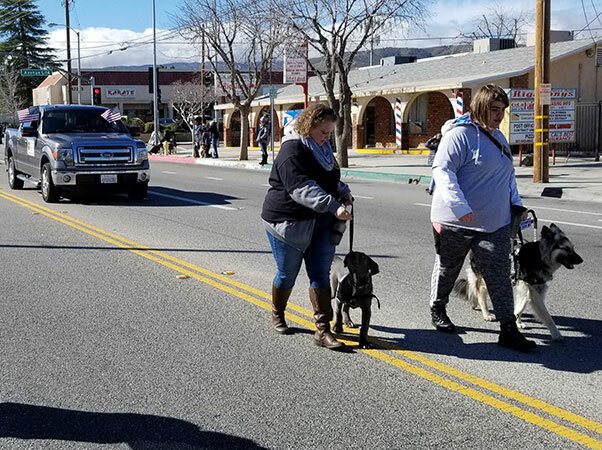 Dogs representing Service Dogs for Wounded Veterans, as well as members of the Quartz Hill VFW Post 3000, took part in the parade.